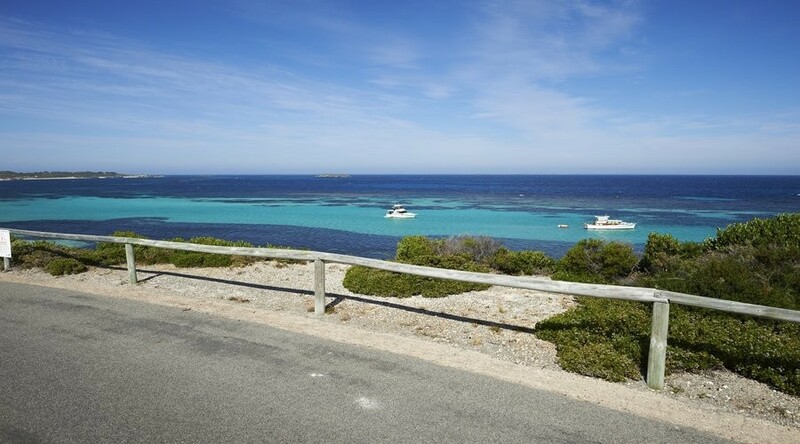 Rottnest Island Tour | Day Return Ferry | ADAMS | Book Today! 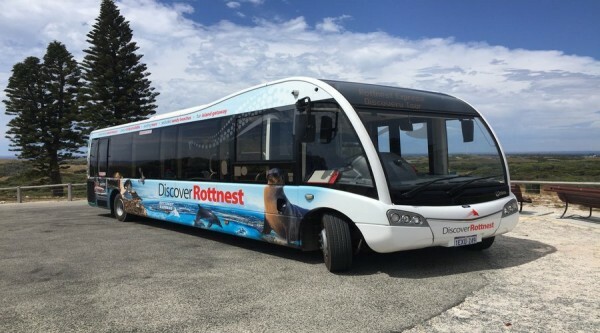 When visiting Rottnest Island the must do tour is the Grand Island Tour which gives a comprehensive insight into the many wonders and attractions of this beautiful island. The island is surrounded by stunning limestone coral reefs believed to have grown approximately 100,000 years ago. 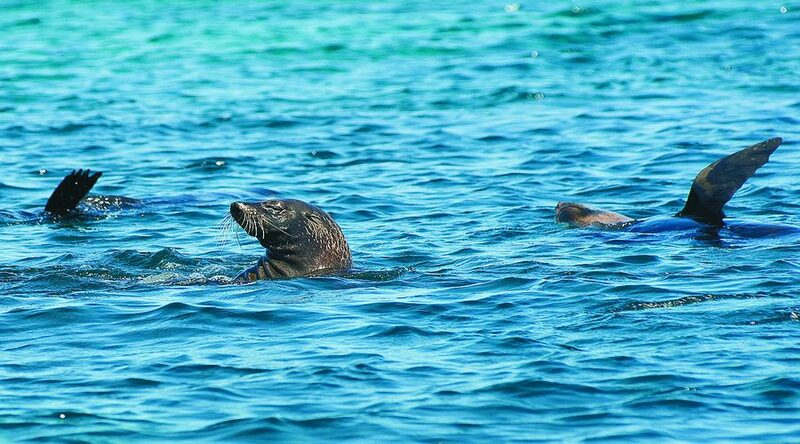 Whilst on the island be sure to explore these beautiful reefs fed by the warm Leeuwin current and discover the many species of marine life that call this area home. When on the island, a must do activity is to explore the many salt lakes that occupy approximately 10 per cent of the area. Notable ones include Lake Baghdad, Lake Vincent, Herschel Lake, Garden Lake, Government House Lake and Serpentine Lake. These lakes are permanent and are always accessible all year around, other notable lakes that may dry up throughout the summer period include Pink Lake, Lake Sirius, Lake Negri and the twin Pearse Lakes. 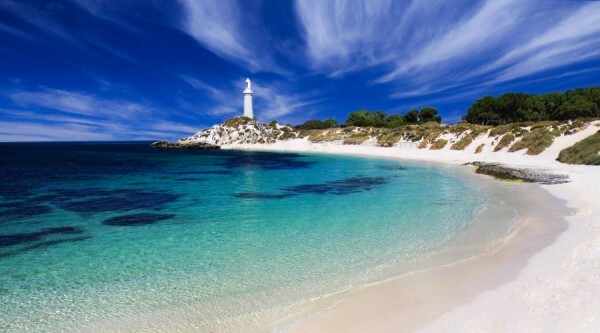 An iconic landmark of Rottnest Island is the Bathurst Lighthouse located on the coastline in Bathurst. This lighthouse is closed to visitors however, is the perfect place to capture breath-taking sunsets and picturesque views. A stunning 50 kilometre walking trail made up of five unique sections each celebrating a significant landmark or area of the island. This trail is designed to enhance your Rottnest Island experience and show case the best parts and areas of this beautiful destination. 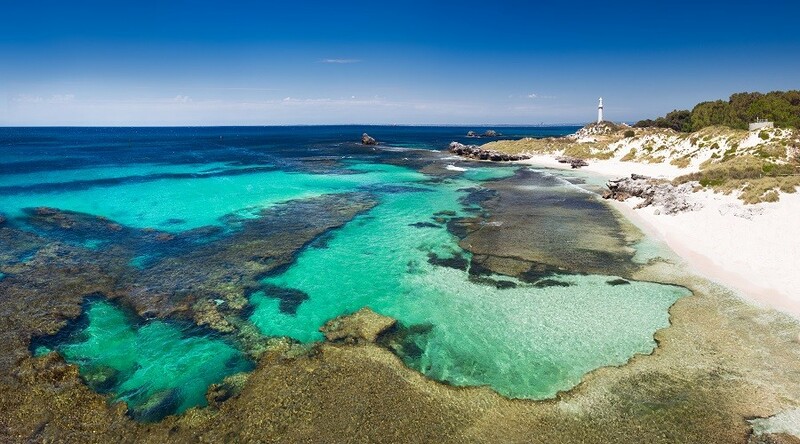 Rottnest is WA’s most beautiful island just 19 kilometres off Perth’s coastline, with three points of departure easily accessible on quality, high speed ferries. Departures from Perth, Fremantle and Hillarys. The island, 11 kilometres long and 4.5 kilometres at its widest point, is an A-Class reserve enjoying a semi-arid Mediterranean-style climate with stunning coral reefs, crystal clear waters and unique wildlife. 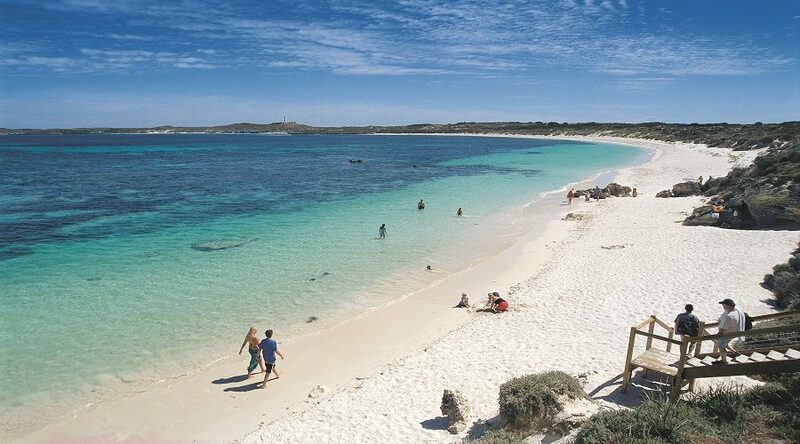 It is believed that Rottnest Island separated from the mainland 7,000 years ago. It is now the largest of a chain of islands off the coast of Perth and boasts pristine bays and secluded beaches, some of the finest in the world. The island has a unique style of architecture dating back to the 1800s, with several historic sites that are a must-see. These include: Oliver Hill Battery, Wadjemup Lighthouse and more. No matter how you spend your time at Rottnest, you are sure to be amazed by what the island has to offer. With cars excluded from the island, bike riding would have to be the most popular and fun way to explore the island, or let a coach or train take the strain and upgrade to an inclusive tour around this amazing island. Make sure to encounter Rottnest’s most famous inhabitant – the quokka, a small wallaby-like marsupial which stands at just 12 inches tall. 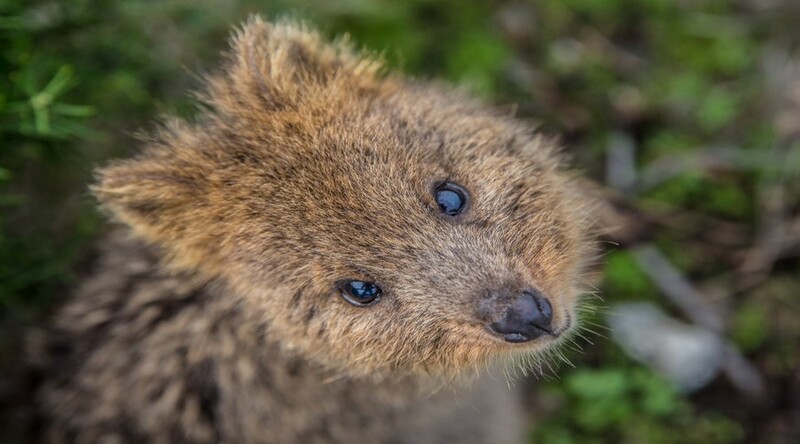 There are 8,000-12,000 quokkas inhabiting the island so keep an eye out for the creature dubbed the happiest animal on Earth. Complimentary courtesy coach transfers from selected Perth CBD accommodation to Barrack Street Jetty (Perth departure) or Hillarys Boat Harbour (Hillarys departure) available on request. Please enquire at time of booking. PLEASE NOTE: All bookings will be pending confirmation as this is a Third Party Product. Reconfirmation of availability will be provided within 24hrs of booking. Hillarys Boat Harbour departure operated by Rottnest Fast Ferries; Perth and Fremantle departures operated by Rottnest Express, Fremantle departure operated by Sealink. Prices subject to change due to government landing fee and operator price increases. Please advise of any dietary requirements. PLEASE NOTE: All bookings will be pending confirmation as this is a Third Party Product. Reconfirmation of availability will be provided within 24hrs of booking. 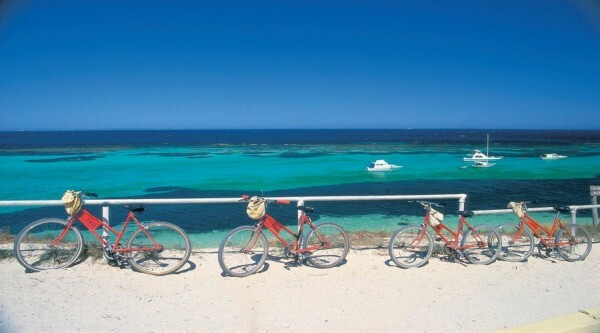 Rottnest – WA’s most beautiful Island is just 19km off Perth’s coastline. Upgrade your basic ferry ride to include the most comprehensive guided tour of the island.